Parking a call allows you to put an ongoing call on hold, freeing your terminal which can then make other calls.  Parked calls are instead placed in a particular area of ​​the PBX available to all users who can retrieve them at any time. Users will be able to see the calls parked in their own UI. During a call in progress, press the button and select the “Park call” item. In association with a parked call, it is also possible to add a note with specific information about the call. If the call has been parked successfully, a message will appear showing the used parking line and the associated code. If not, for example, due to the availability of the parking lines, the message will be an error. 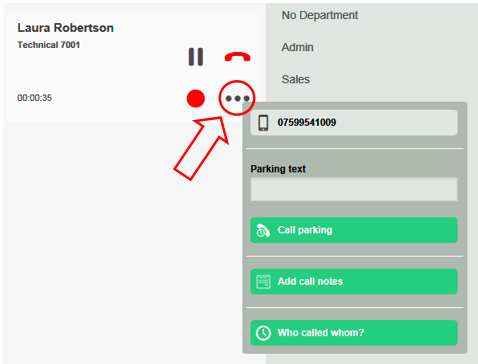 Parked calls are listed in a new area of the UI that is accessed via a special icon . For each call, the name/number of the caller is indicated, the code for the parking line, which identifies the line on which the call is parked and any parking note (if it has been added by the parked person). To retrieve the call parked via the UI, simply click on the green receiver. The call will be immediately forwarded to your terminal. If the terminal does not support click to call, the call will need to be answered, while in the other cases the waiting caller will be immediately put in communication with his own terminal.